Mahindra Mojo fans have a reason to celebrate as price for this premium tourer has gone down to INR 1,72,020 (ex-showroom Delhi). Thanks to GST, all bikes that are carrying less than 350cc engines got a price drop, varying highly with the amount of benefit being passed on to the buyer. Mahindra currently retails the motorcycle through standard as well as special Mojo dealerships in India. 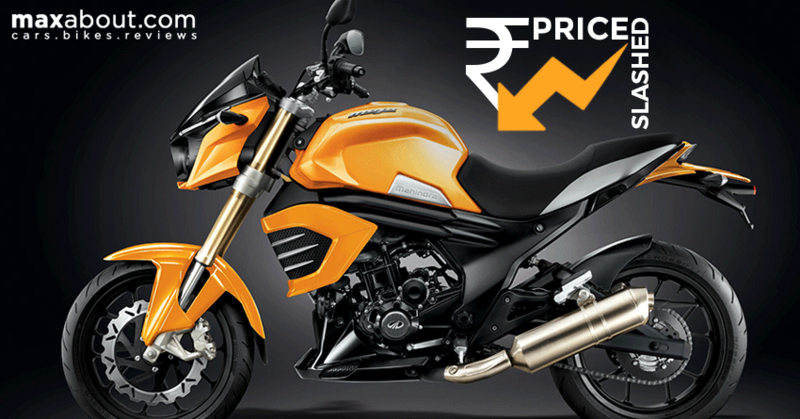 The price drop in Delhi is about INR 1,300 and further, a marginal drop in registration cost is seen on the bike. Mahindra launched the Mojo in India and created a niche segment that caters tourers and adventure lovers of the country. It is the only one of its kind as no other manufacturer ever thought of putting twin exhaust on a single cylinder motorcycle for an exciting aural output. Pirelli’s premium set of tyres further help rider claim all kinds of roads with ease. Mojo uses a powerful twin headlight design for the headlight, allowing riders to have a safe and confidence inspiring drive in all kinds of light conditions. Mahindra Mojo 300 is BS4 compliant and uses a powerful 295cc engine producing 26.82 BHP at 8000 rpm and 30 Nm at 5500 rpm. The engine comes mated to a 6-speed gearbox. Mojo comes with segment first USD forks, large 320 mm front disc, 21 liter fuel tank and an excellent instrument console. 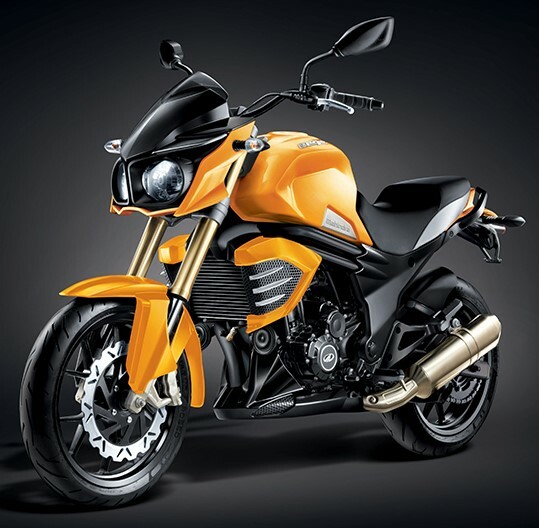 It rivals none other than KTM 250 Duke and Royal Enfield Thunderbird 500 in its price segment. The engine is torque oriented and helps rider cruise at triple digit speeds all day without breaking a sweat. 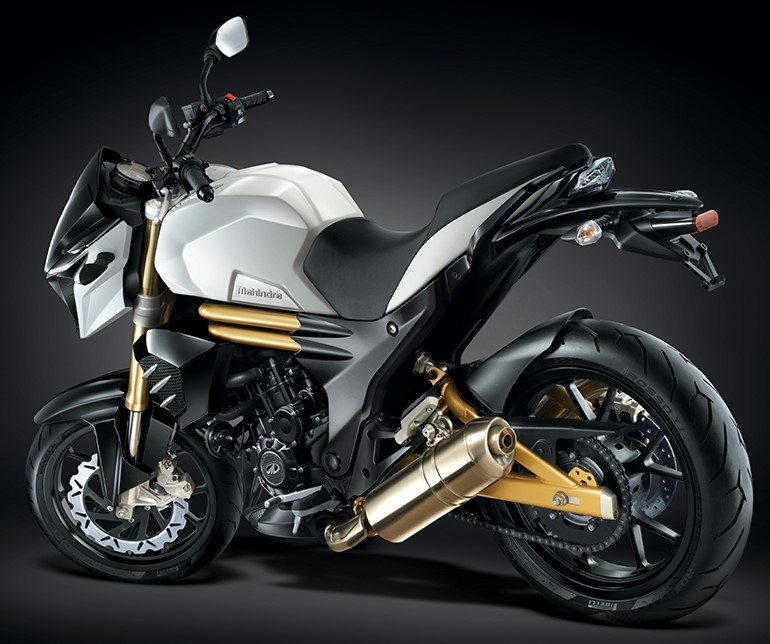 You May Like: Yamaha to Launch FZ250 in India on January 15?